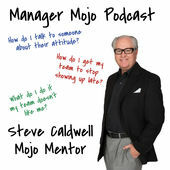 Listen to Manager Mojo with Todd Palmer and Steve Caldwell. They discuss the tight labor market and how the job candidate has the upper hand. What process do you have in place to attract the best talent? Why should prospects want to work for your organization? What makes you special, unique and cool? Sell them on your organization, where they fit in and why their contribution will be valuable. Second, if you are waiting to search for new people after someone submits their resignation, you have waited too long. Recruiting is a nonstop, ongoing process, and there should be a waiting list of great talent waiting to work with you. Finally, an onboarding program can be the initial critical step for welcoming a new team member to the family. Mentioning family, how are you also welcoming and treating theirs? When you can get their family excited and ‘on board,’ you have a winning formula! Listen to this podcast for an expert’s ideas on being the best and recruiting the best.